The Hudson-Kemple Cash Grocery operated in the 1920s. 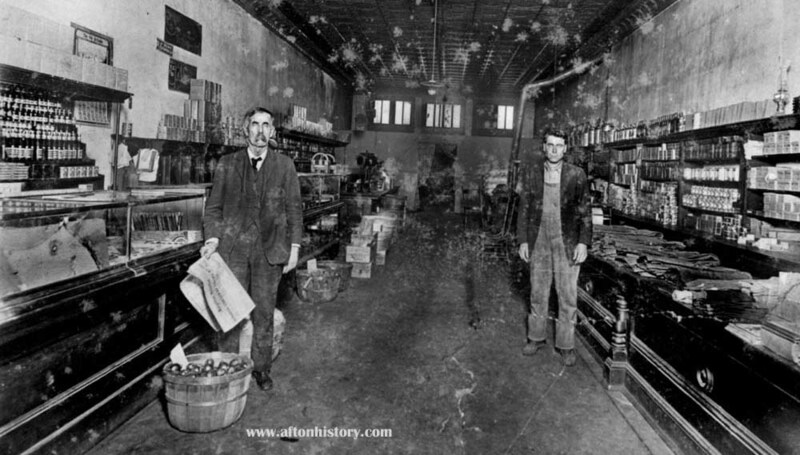 L-R: Henry Gerome Hudson and George Kemple owned and operated the store. Early advertisements placed the store one door south of the post office, which at that time was located on the east side of South Main street.